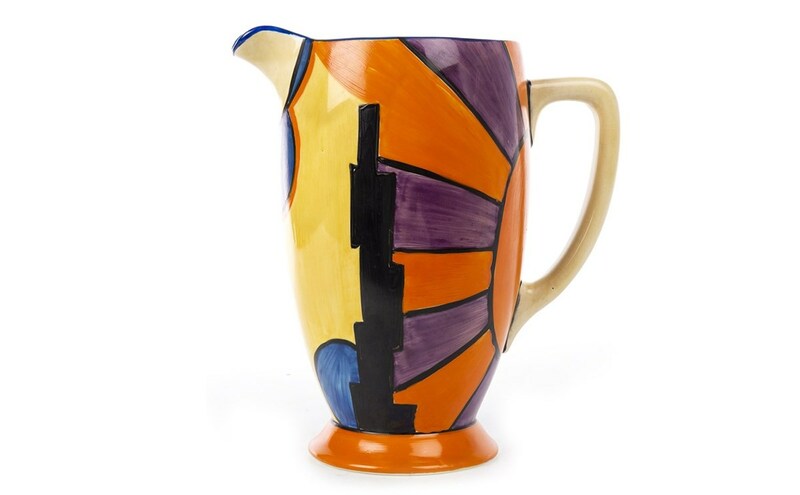 A superb Clarice Cliff for Wilkinson Fantasque ‘Broth’ pattern twin handled jug exceeded its estimate of £200–300 when the hammer fell at an impressive £500. At 30cm high, the jug is of ribbed Lotus form and hand painted with cobwebs and bubbles within orange borders. Bought by an online bidder in Worcestershire, England, we think it is the perfect autumnal find. Lot 1223 was bought by the same buyer down South. 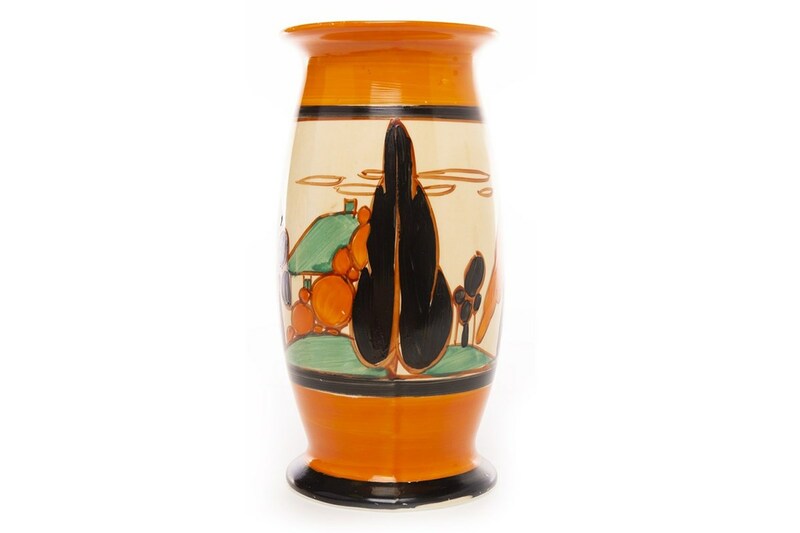 Estimated at £200–400, this unique Clarice Cliff for Newport jug lot made the higher end of its estimate. In the Bizarre ‘sunray’ pattern, the jug piece is of footed circular form and hand painted with geometric shapes and rising sun design. 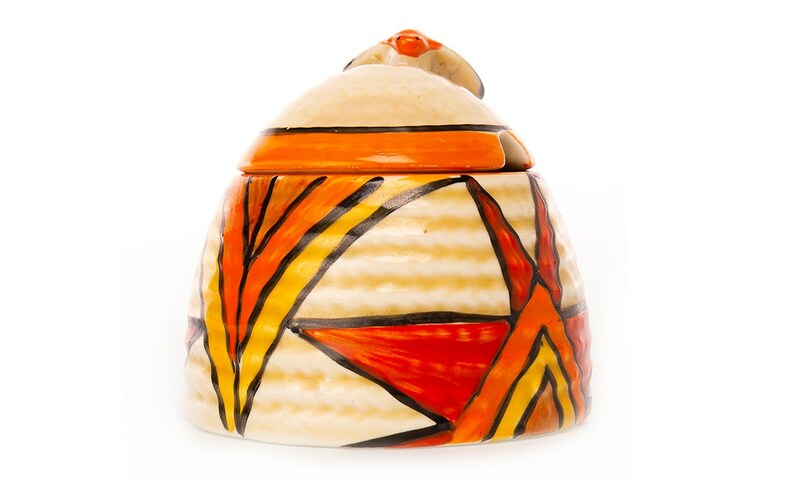 This honey pot and cover (lot 1224) is decorated in the ‘Sunburst’ pattern – the epitome of Clarice Cliff design, this lot was much anticipated. The rare beehive shaped pot caught the eyes of a local bidder and the lot sold to a Glasgow buyer. Last but certainly not least, lot 1229 exceeded its estimate of £200-300 when the gavel fell as £340. Of swollen form with flared rim and hand painted with a stylised landscape within black and orange borders, the bold lot sold to an online bidder in Perth. The British & Continental Ceramics & Glass sale features 18th to 20th-century porcelain, pottery and glass from the best-known manufacturers around Britain and Europe. 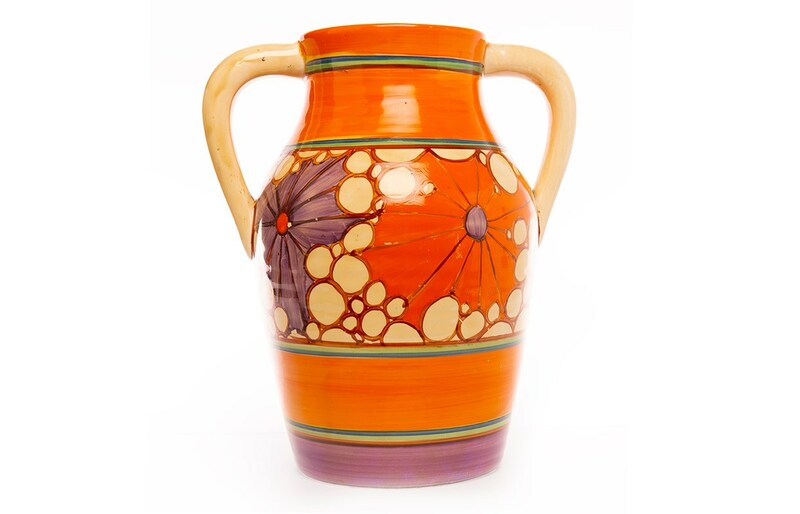 Dedicated auctions of British & Continental Ceramics & Glass are held every twelve weeks. Come along to the Valuation Days at McTear’s on Tuesday, Wednesday and Thursday this week for complimentary auction advice.